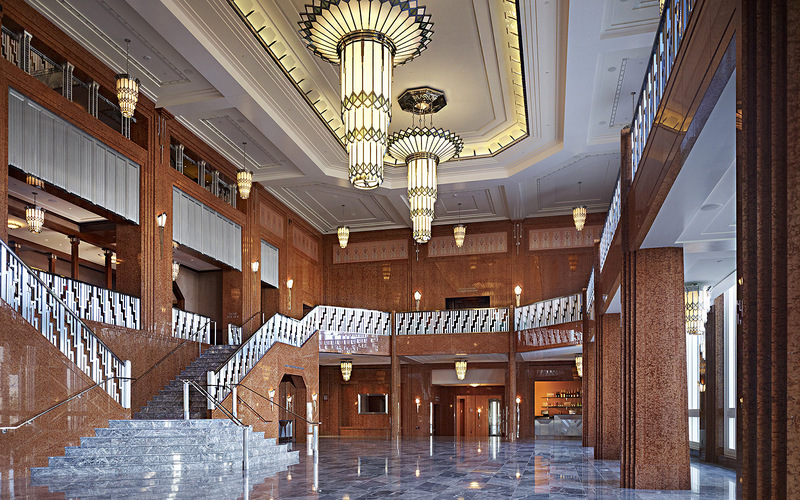 The Smith Center for the Performing Arts, also known as the Smith Performing Arts Center, located in Downtown Las Vegas Nevada's Symphony Park is a 4.75 acres (1.92 ha) theater facility consisting of three theaters in two buildings. It opened on March 10, 2012. 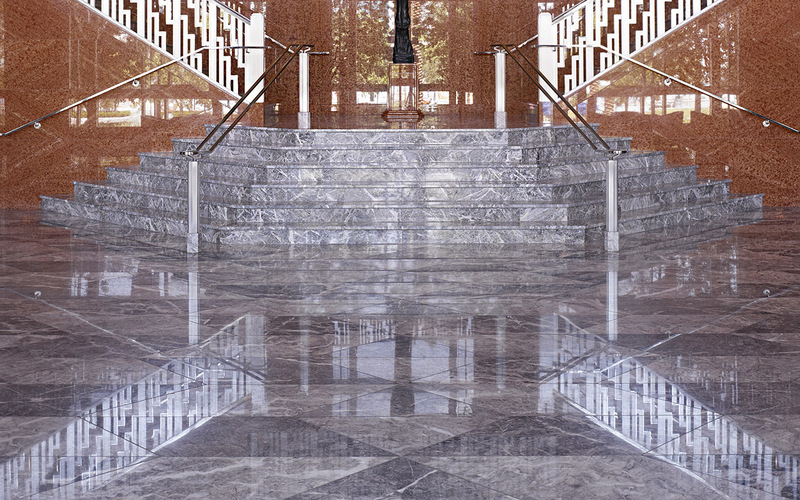 For this project Margraf supplied the marbles for the Gran Lobby: flooring and stairs in Fior di Pesco Carnico and Grey Saint Laurent. 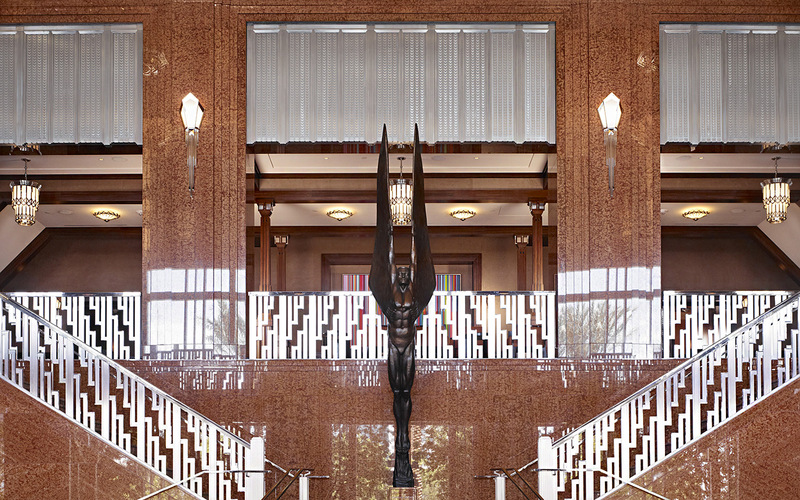 The Smith Center Board wanted a timeless and elegant design, selecting architect David M. Schwarz to design the center, using inspiration from the Hoover Dam's Art Deco style as a major and lasting historical influence in the Las Vegas area. 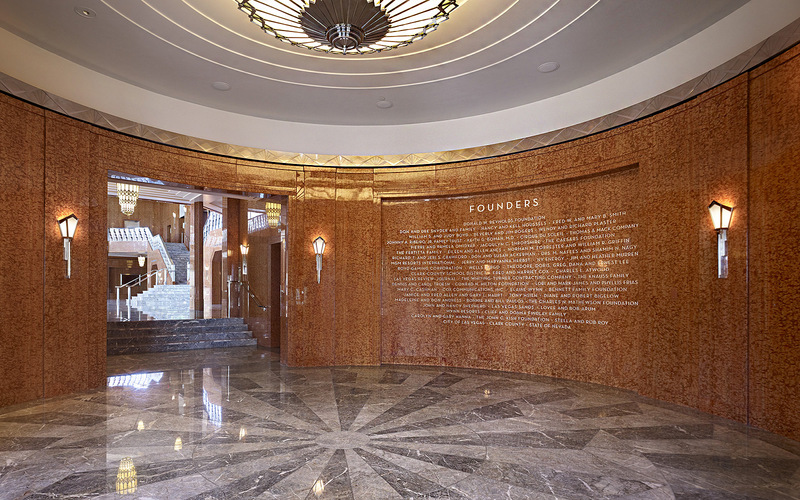 White Indiana limestone for the facade, as well as numerous detail elements based on the Hoover Dam and 1930's motifs feature throughout the facility, including a winged sculpture in the Center lobby modeled after the dam's famous Winged Figures of the Republic statues. A prominent flower theme was also added in select places since Mary Smith's favorite flower is the Blue Iris. In addition, artwork by local artists from the Las Vegas Art Museum have been loaned to the center to be displayed. A large concert hall (2, 050 seats) and two smaller theaters was planned as the main venues. At the corner it features a 16 story bell tower featuring 47 bells provided a new focal point for the Center and the downtown skyline. Audio design firm Akustiks worked with Schwarz to ensure optimum sound quality in all the venues, installing high tech sound enhancing features like retractable drapery and auto closing doors to reflect or absorb sounds based on the performance type. The main hall is also double soundproofed against outside noises. An outdoor park plaza was also built, serving as an additional outdoor concert venue if needed. It features an artwork by Tim Bavington, representing Aaron Copland’s “Fanfare for the Common Man.